Looking For Great Delaware Golf? You’ve Found It! The opening hole is a unique dogleg left that will quickly grab your attention. The tee shot must favor the right side of the fairway to leave a clear second shot. The change in elevation on the approach is indicative of this spectacular course. On your second shot, if you want to lay-up and leave yourself a level approach shot you must lay-up no closer than 150 yards to the green. This narrow hourglass-shaped green is sloped severely from left to right. Staying below the pin is a must on this putting surface. Finding the green is imperative to scoring well on this par 3. The trees surrounding the elevated tee hide the wind’s true direction. Club selection is critical because of the sharp drop off behind the green into White Clay Creek State Park. Tee shots not landing on the green have a good chance of finding one of the 3 bunkers. Favoring the left side of the green will improve your chance for an easy two putt. The third is a short par 4.The blind, uphill tee shot must favor the right side to avoid the tree looming over the left side of the fairway. The small but undulating green will make for an exciting two putt. Finding the fairway on this contoured par 4 will not guarantee a great score. Most players will find the sloping fairway challenging to manage, making a well placed approach to the elevated green difficult. Staying clear of the greenside bunkers may cause many players to lay-up short of the green, leaving a simple pitch up the hill and a chance at a one putt par. Leave the driver in the bag. Accuracy is the name of the game on this narrow par 4. Adding a full club to your approach will be necessary to reach this considerably elevated green. The small green is sloped severely from left to right and can make for a tricky two putt for even the best putters. The sixth hole is a distinctive par 4 that utilizes the undulating landscape to provide a unique golf adventure. A tee shot that favors the right side is essential to finding the fairway. A well struck approach will be necessary to hold the elevated green. Hitting this green in two does not always ensure an easy par. Your target on this gently elevated par 4 will be the left fairway bunker. Any player finding this green in two will have an excellent opportunity at a great score. There are many ways to play this uphill par 3. Some players may want to hit a fairway wood and try to reach the green, while others may want to lay-up in front of the bunkers and leave an easy chip. Whichever way the hole is played, 3 is a good score. The ninth, an uphill dogleg right, is the most difficult of the par 4’s. Here, the golfer is faced with a tee shot that must favor the left side of the fairway to have a clear approach to the green. The firm surface of this small green will call for an extremely accurate long iron or fairway wood. Navigating the subtle slopes to the green will be the real challenge for all golfers. A par on the ninth hole is an excellent score for any skill level. The tenth tee showcases the dramatic elevation changes that are indicative of the course. The lake on the left of the fairway is blind from the tee, creating a true risk reward shot for any golfer that takes an aggressive line. The second shot will call for an accurate lay-up to the left side of the fairway to leave you with a straightforward approach. Any putt above the hole will require a steady putting stroke. Adding an extra club to your tee shot on this uphill par 3 is crucial to finding the green. Staying clear of the bunkers left of the green is the top priority. The chipping area both short and right of the green provides a good opportunity to save par. Whether you hit the green with your first or second shot, be sure to leave yourself an uphill putt on this slippery green. The first par 4 on the back nine demands a precise tee shot to avoid out of bounds to the right and bunkers guarding both sides of the fairway. Hit this fairway and birdie is a short iron and a putt away. Although the 13th hole is the shortest of the par 4s, distance control from the tee is necessary. A fairway wood or long iron, down the right side of the fairway, will be the club of choice. A careful approach to the green will leave many golfers with their best chance for birdie. The fourteenth hole appears as though it was painted onto the landscape. Don’t be fooled by the yardage on the scorecard. The narrow fairway and uphill approach make par an excellent score. The drive should favor the right side of the fairway to leave the golfer with an unimpeded approach to the green. The uphill approach will require that the golfer take at least one extra club to reach the well bunkered green. The fifteenth is a distinctive hole, with a fairway that is severely sloped from left to right. The tee shot must favor the left side to ensure that the ball will remain in the fairway. Golfers will be faced with a severe sidehill lie. Finding the green will be an accomplishment for golfers of any skill level. The last of the par 3’s borders Thompson Station Road, and features bunkers to the left and both bunkers and out of bounds to the right. Players will need an extra club to carry the bunkers and safely find this undulated green. Be cautious here as the teeing area on #16 can point you off to the right a bit, so be sure to check your alignment. The dramatic view from the seventeenth tee creates a stimulating tee shot. The blind tee shot most favor the right side to increase your chances of safely finding the fairway. On the approach most golfers will be faced with a downhill approach to the largest green on the course. A large ridge bisects the green making long putts challenging to judge. The final hole is an uphill, dogleg right with a blind tee shot. Favoring the left side of the fairway is a must. On the approach shot the clubhouse provides a beautiful backdrop to this distinct finishing hole. The open entry to the green will accept a multitude of approach shots. A simple putt on this level green will be all that is left to finish a wonderful golf experience. 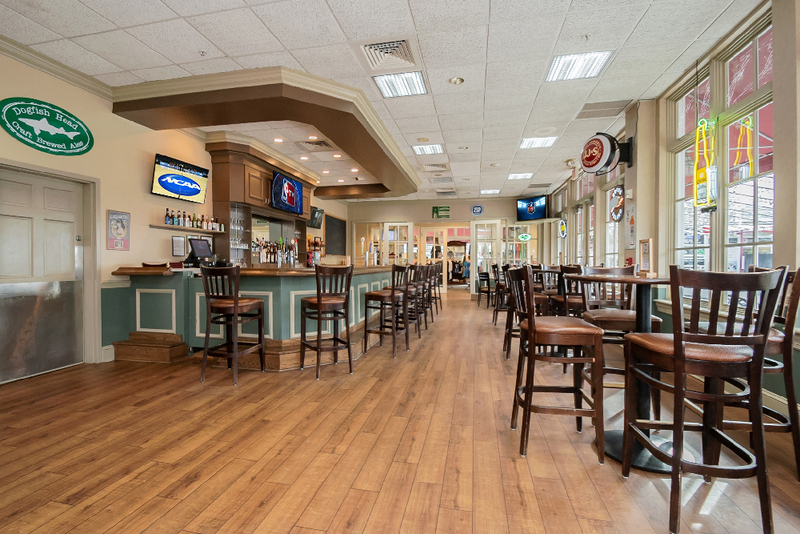 The perfect place to gather with your friends after your next round of golf at Deerfield is at the Deerfield Pub & Grille. 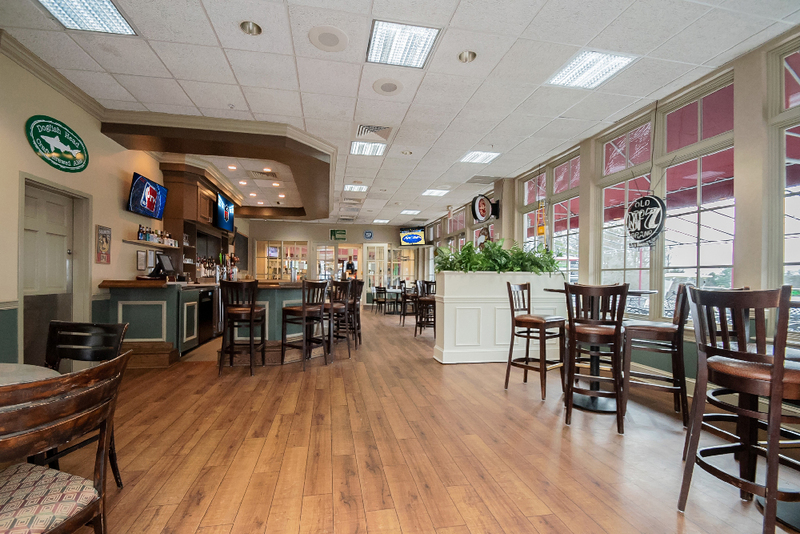 Enjoy daily drink and appetizer specials at the bar, order a tall draft from any one of our twelve draft beer options, or get comfortable at the bar or high-top tables. 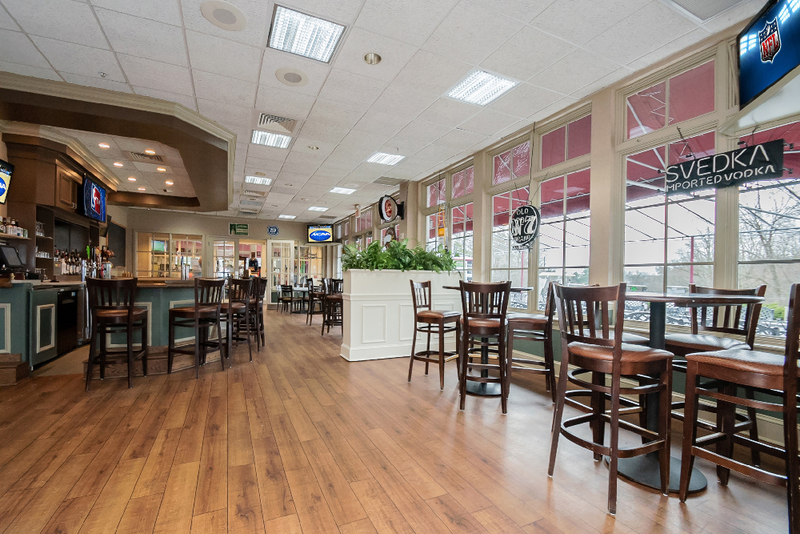 You’ll have a great view of “the game” on our six flat screen TV’s. And the patio and fire pit area offers an outstanding views of the golf course and the setting sun. Deerfield’s Pub & Grille Menu features an array of popular menu items perfect for after golf and hanging out with your friends. 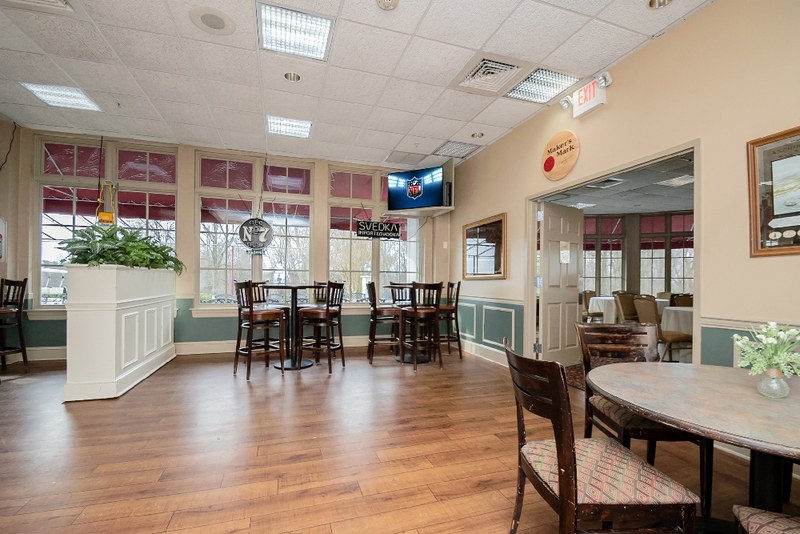 Whether it’s shared appetizers for the whole foursome to enjoy or a burger, sandwich, or fresh salad Deerfield’s Pub & Grille has a selection for you. View The Entire Pub & Grille Menu Here. How many greater Wilmington golf courses can offer all that? 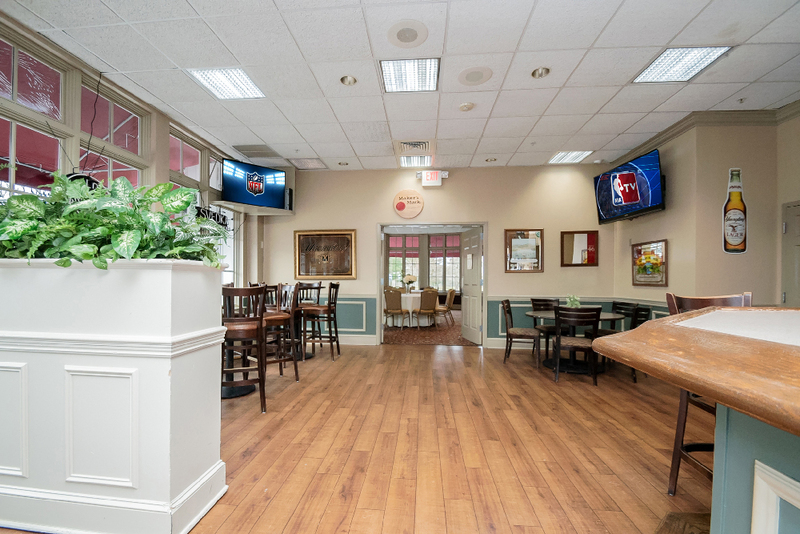 We look forward to serving you as one of Delaware’s finest pubs around! Reservations are not accepted for the pub & grille, patio or fire pit dining and seating is based on a first come, first served basis. Hours are subject to change due to inclement weather. Holiday dining events such as Father’s Day may limit pub & grille operating hours and menu options. 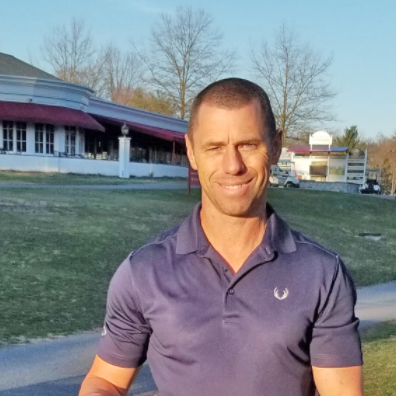 A Delaware native and graduate of the PGA of America’s Professional Golf Management program, Ryan brings 18 years of teaching experience to Deerfield, having recently served two of the Philadelphia Sections’ most reputable facilities – Merion Golf Club and The Union League Golf Club at Torresdale. This span, in addition, includes a 10 year tenure in Hawai’i, where Ryan held the positions of Staff Professional and Lead Instructor at the Princeville Resort’s renowned Prince Course, the state’s #1 ranked facility for the duration of that time, as well as a member of Golf Digest’s ‘Top 100 Courses of America’ list. There he assisted Top 25 Golf School of America instructors Rick Smith, Jack Lumpkin, Fred Shoemaker, and Kris Moe with traveling golf schools that covered all aspects of the game: from the full swing and short game, to on-course mental strategies, to TPI (Titleist Performance Institute) based fitness techniques. Ryan was also a Head Golf Coach at the high school level and a Professional Caddie on the LPGA Tour during this portion of his career, the latter allowing him the opportunity to work with and learn from PGA Tour instructor and former major champion Dave Stockton, Sr. Stockton’s students have included the likes of Phil Mickelson, Rory McIlroy, and Annika Sorenstam. Ryan prides himself in a method free approach to instruction and assisting students of all skill levels. He also serves as the Director of Instruction at AKA University City’s Level 28 in Philadelphia during winter months. Prior to your next round, make sure you stop in and get the gear you’ll need for your next round. You’ll find several of golf’s top manufacturers represented for the apparel, golf balls, equipment, accessories and gift item’s you’ll want. Plus, we are happy to special order whatever you might require if we don’t have it on the shelf. Just let us know what you are looking for, and we can usually bring it in for you at a very competitive price. Maybe you are hosting a tournament or golf outing this season. If so, you’ll need both gift items to give to all your participants as well as prizes for all your winners once the event is through. Whatever it is – logo balls, logo shirts, outerwear, shoe bags, umbrellas, clubs, shoes – we can work with you to capture the items and the price points you require. Just allow some lead time for personalization and shipping and you’re all set! Just stopping in for a round with friends? No problem – we’ve got all the necessities like golf balls, hats, gloves, tees, and suntan lotion that you will need to quickly grab before you tee it up. If you are in the market for new clubs, you can try one of our demo clubs or even be custom-fit for a brand new set. Plus, with our expansive driving range onsite, why hit into a screen? 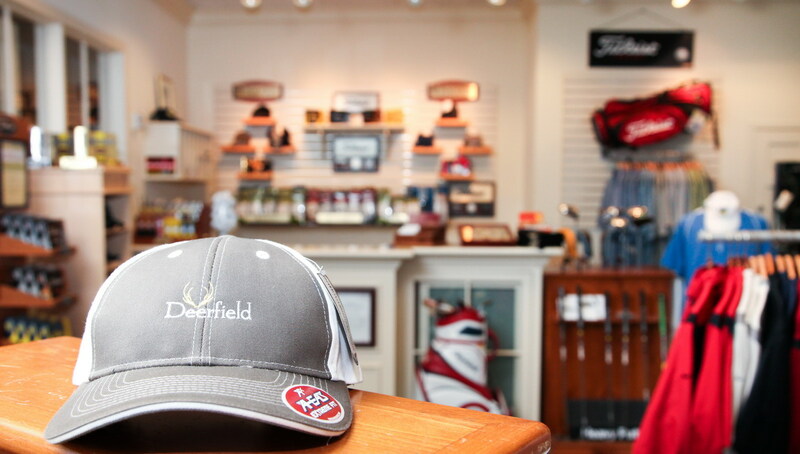 At Deerfield, you can watch the ball fly and discover what clubs will really make a difference in your game. Are you looking for something specific? Contact us today! To learn more about golf outings at Deerfield, click here. The Pro Shop is located in the main clubhouse building across from the Pub & Grille. Everything available is priced affordably, competitively, and offers superior customer service. The Pro Shop is open throughout most golf hours based on season. Call us at 302-368-6640 ext 3 for more details.